​Blessed Assurance. Did the melody start playing in your mind? 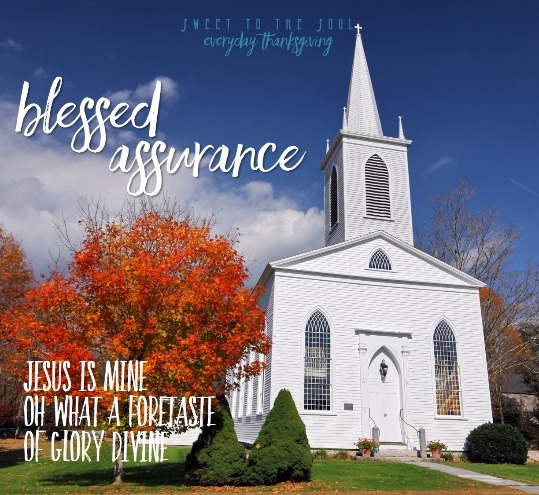 Have you heard or sung the song Blessed Assurance so many times that you know the words - or remember them once the song starts? Me? Enough to remember the words. 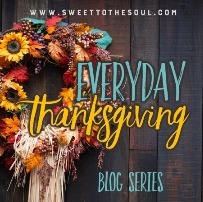 ​​My season of Thanksgiving prayer for you – may you be blessed – assuredly. 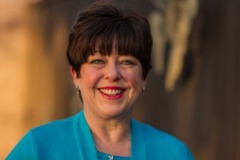 ​Susan B. Mead is passionate about her faith and spiritual fitness. She is an author, speaker, chaplain - and mom - with an MBA. She wrote Dance with Jesus: From Grief to Grace, which hit #1 Amazon Hot New Release in Christian Grief. Susan spent 22+ years with Johnson & Johnson and retired 10-years early as she realized stuff doesn’t matter, but people do…she’s now spending time with those who matter most to her.